Some would call it dedication, others sheer madness, but having stayed awake all night to watch the general election drama unfold I was out on Garreg Lwyd later that afternoon after just a few hours sleep. 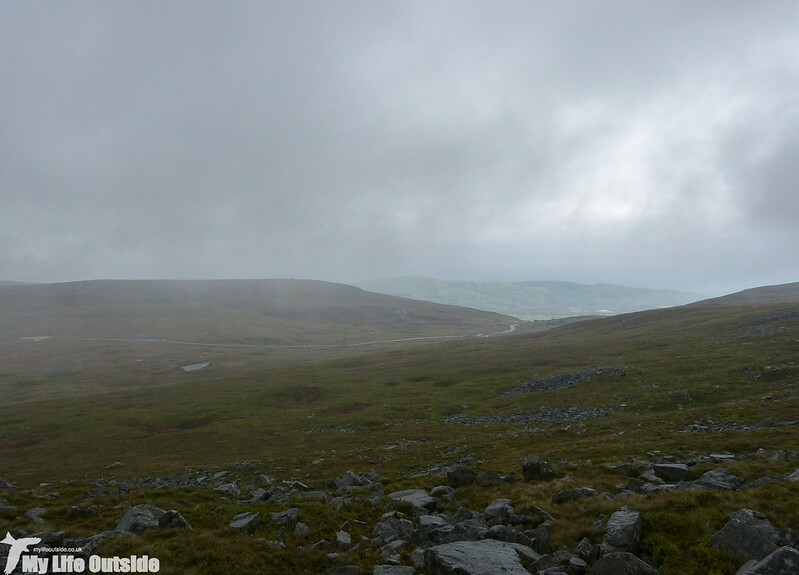 Conditions were far from ideal with strong winds, heavy rain and poor visibility making the search almost impossible. Nevertheless we persevered but despite much optimism only managed to turn up a couple of Wheatears and Skylarks for our efforts. Even so the outing was worth it if for nothing other than the opportunity to test out our wet weather gear and navigation skills. We really should try and get up there in better conditions one of these days. Wow, what a beautiful view. Lovely landscape..
Cracking looking place - dotterel defeated me on many days as well. I think we should dump all the current MPs in a place like this - with no gear - and only rescue them when they promise to behave!